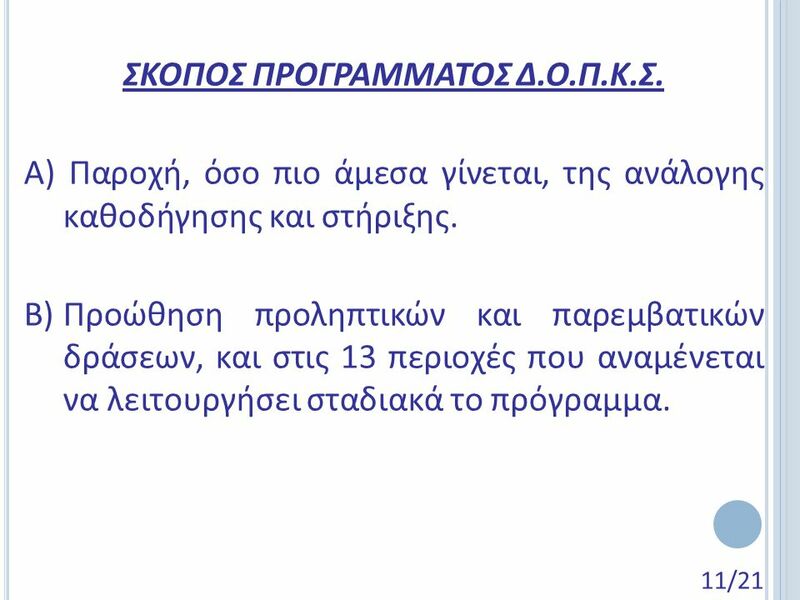 19 C ENTRE, THE FOLLOWING NEW PROGRAMMES ARE INTRODUCED THIS YEAR :  Organisation of one day excursion for 1000 elderly people habitants of Strovolos free of charge (visit places and offer lunch). 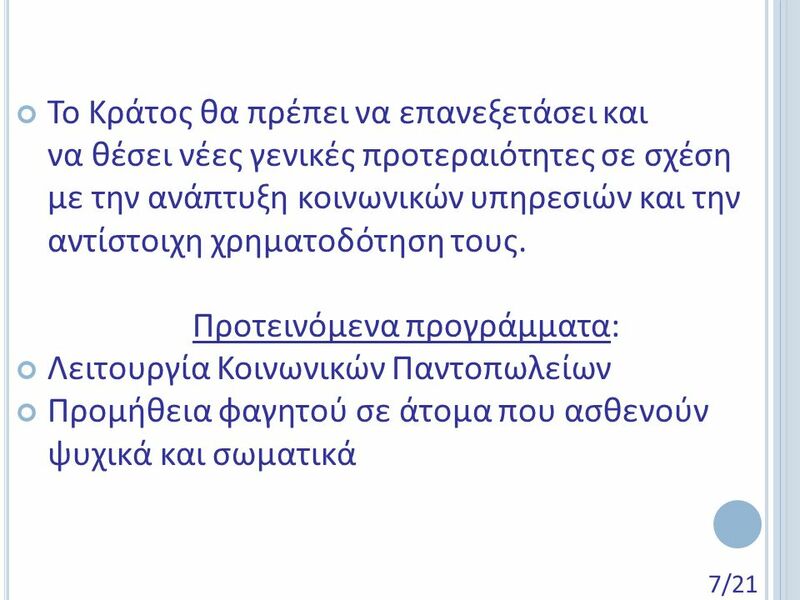 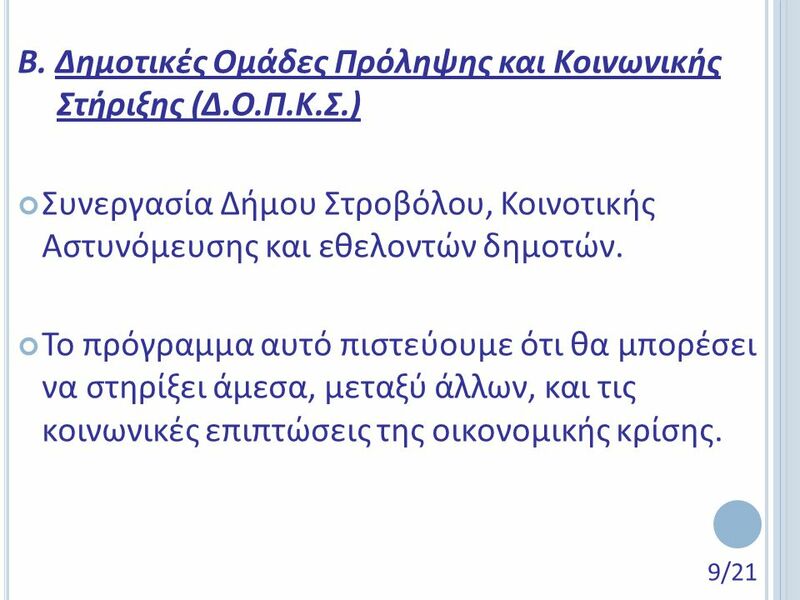 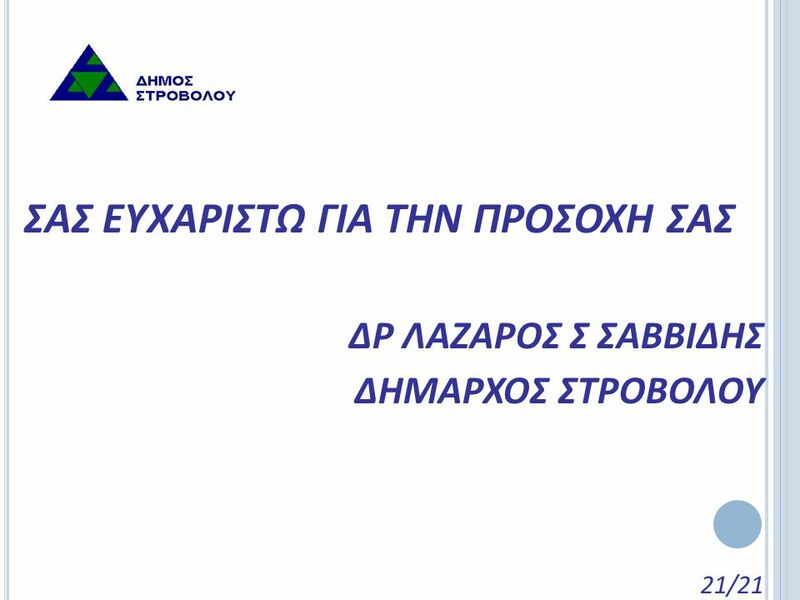 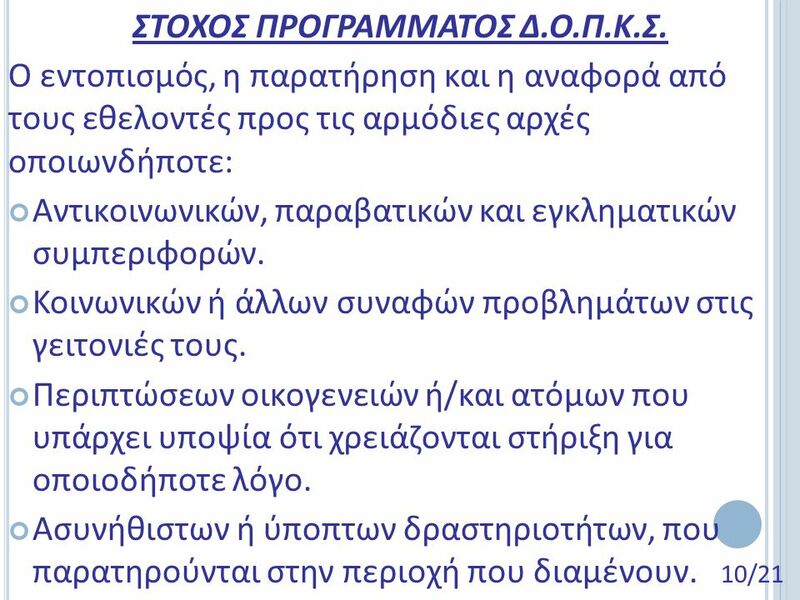 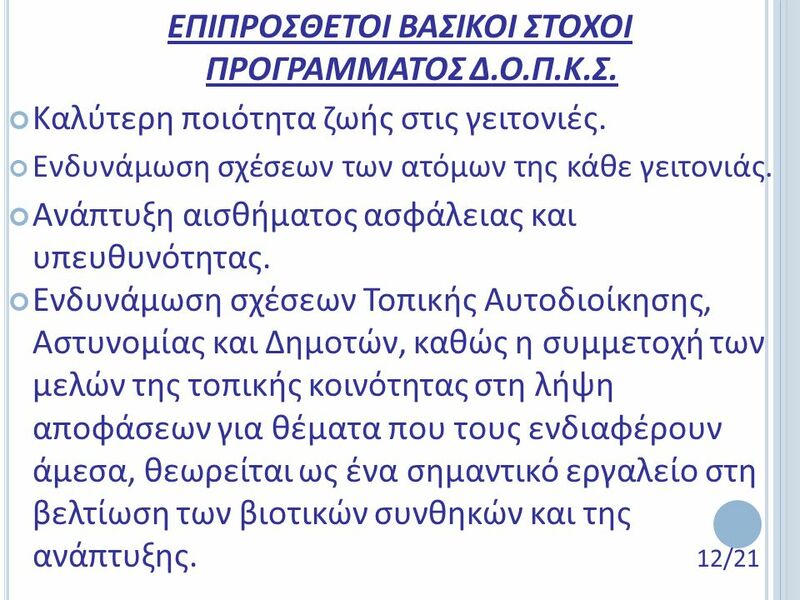 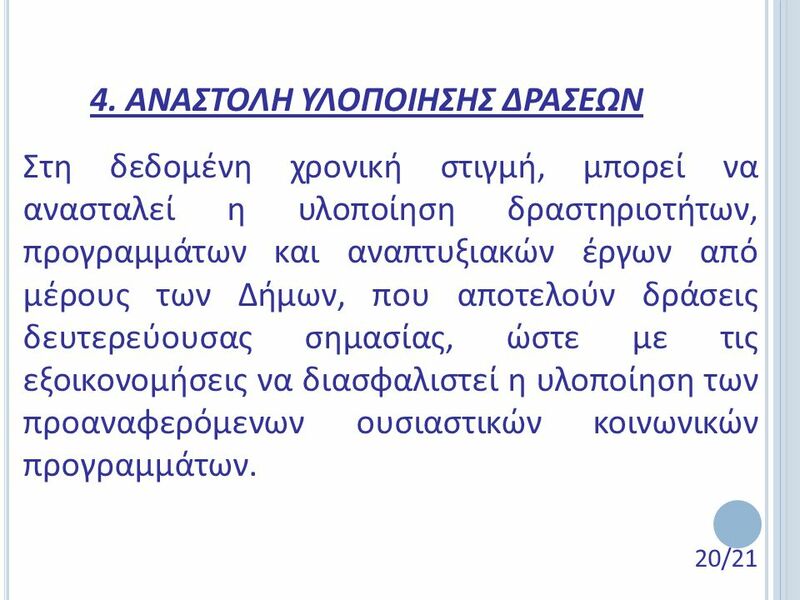  Organisation of five-day-holidays for 130 elderly habitants of Strovolos funded by the Municipality based on criteria. 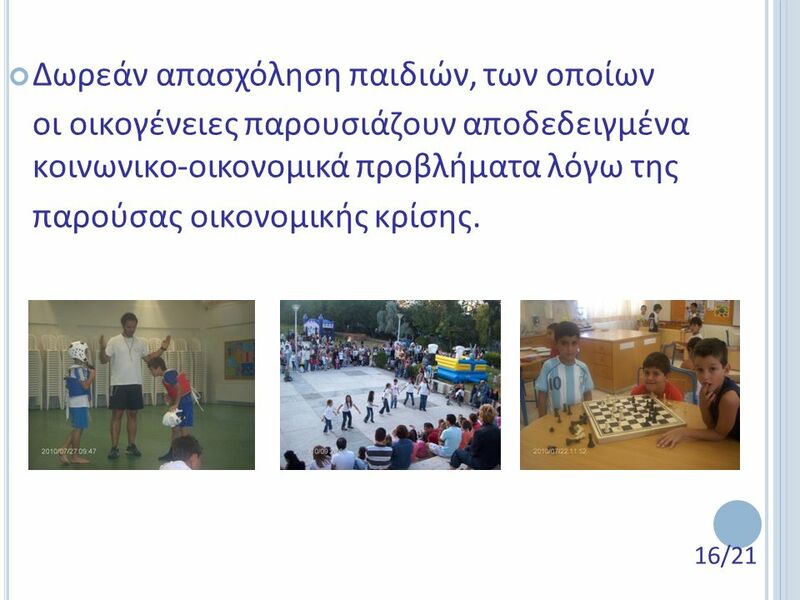 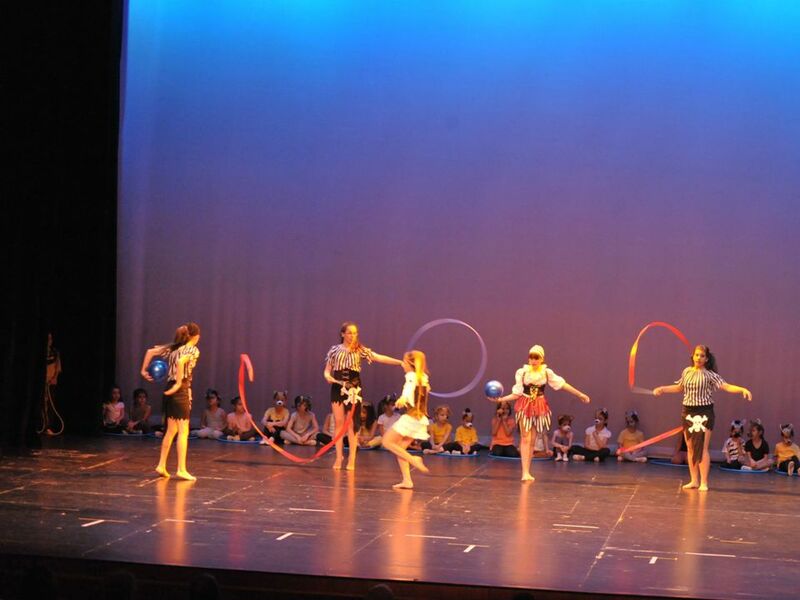 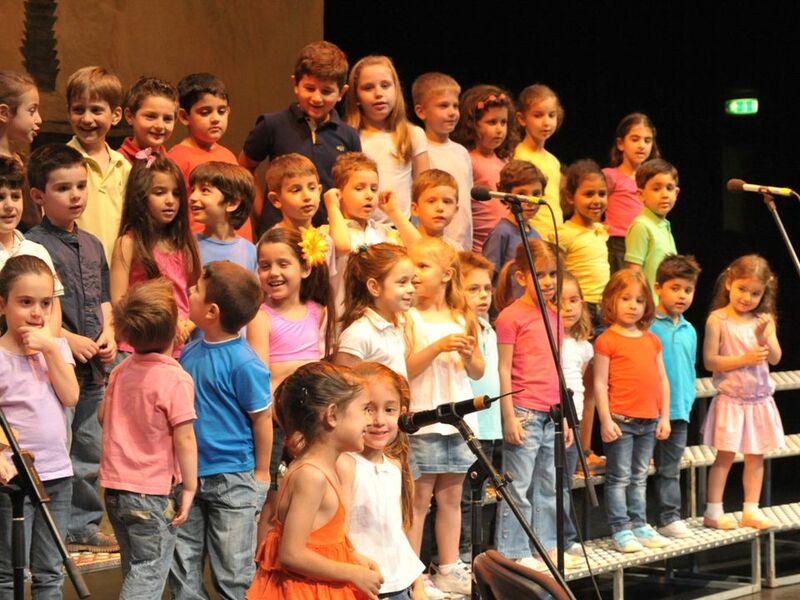  Organisation of camping for around 60 children aged 10 – 11 habitants of Strovolos in the mountains in a place prepared especially for that purpose. 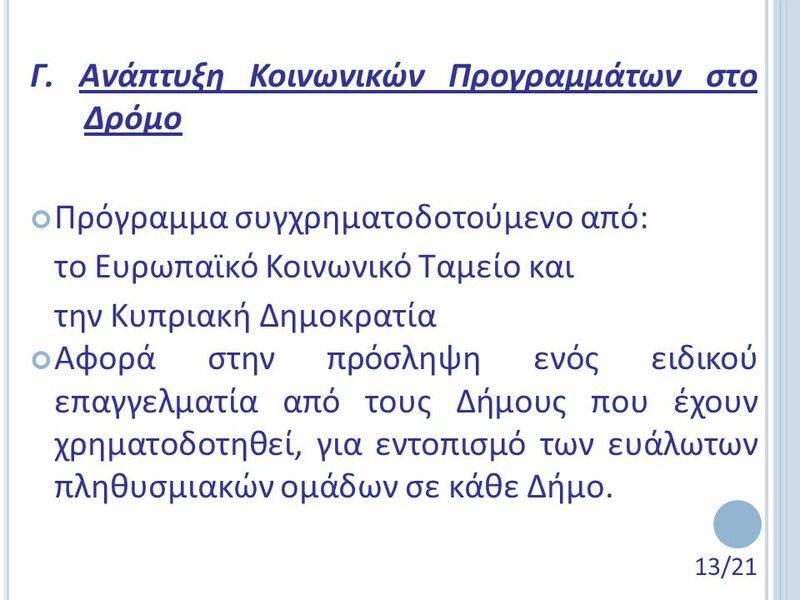 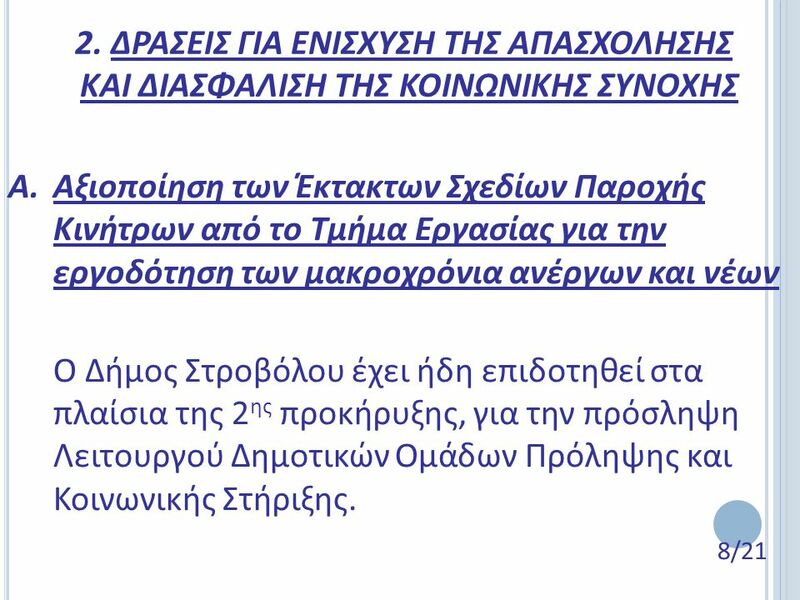 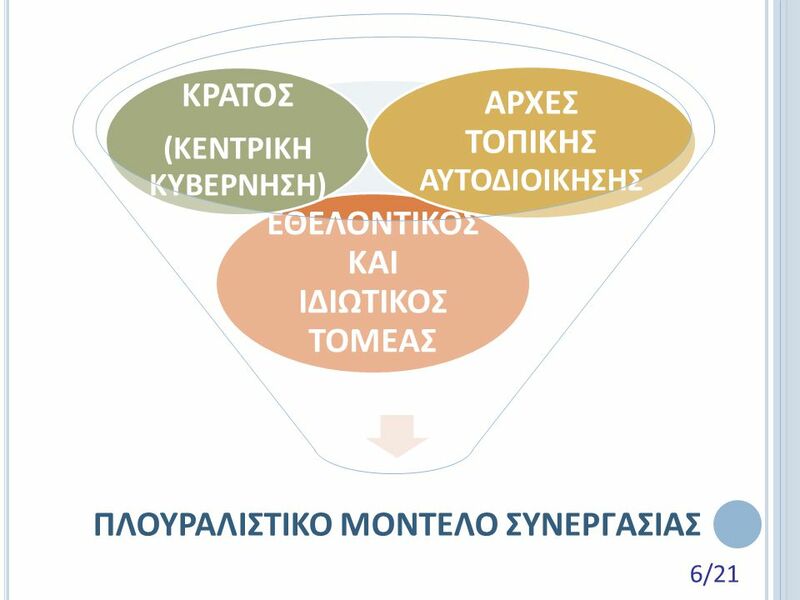 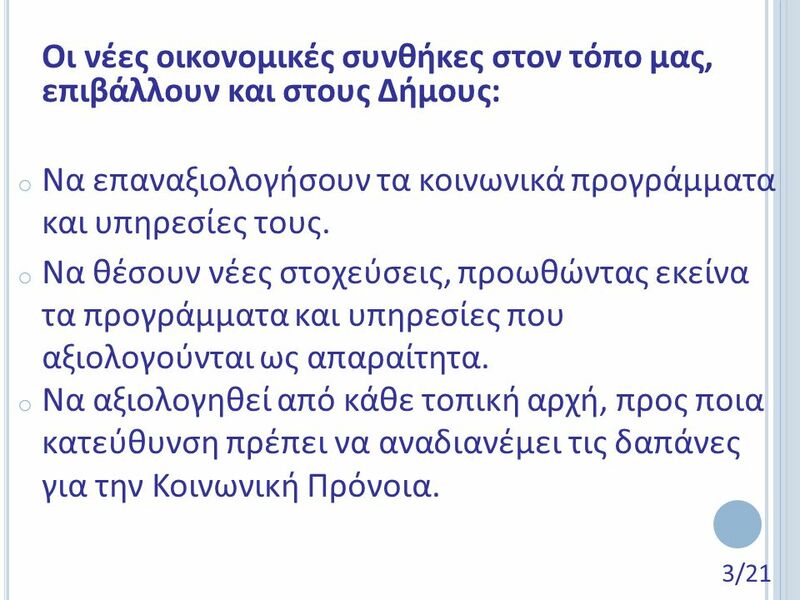 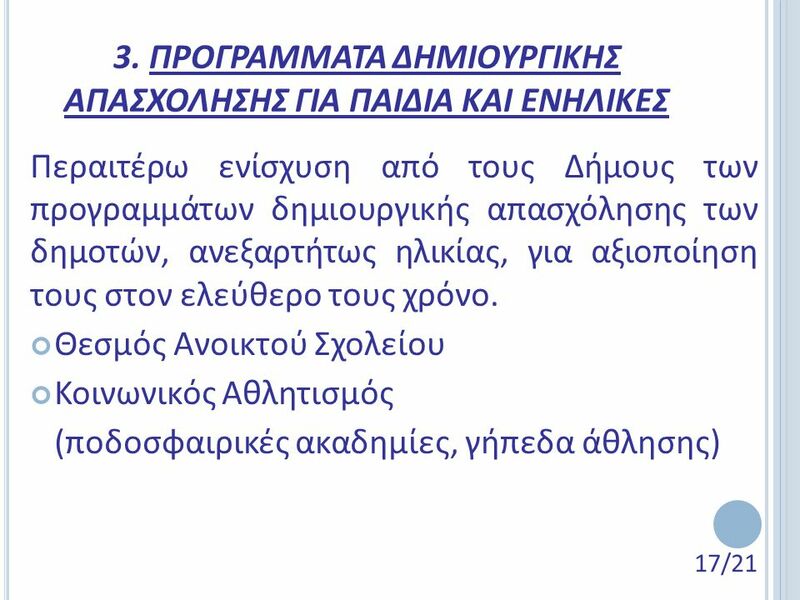 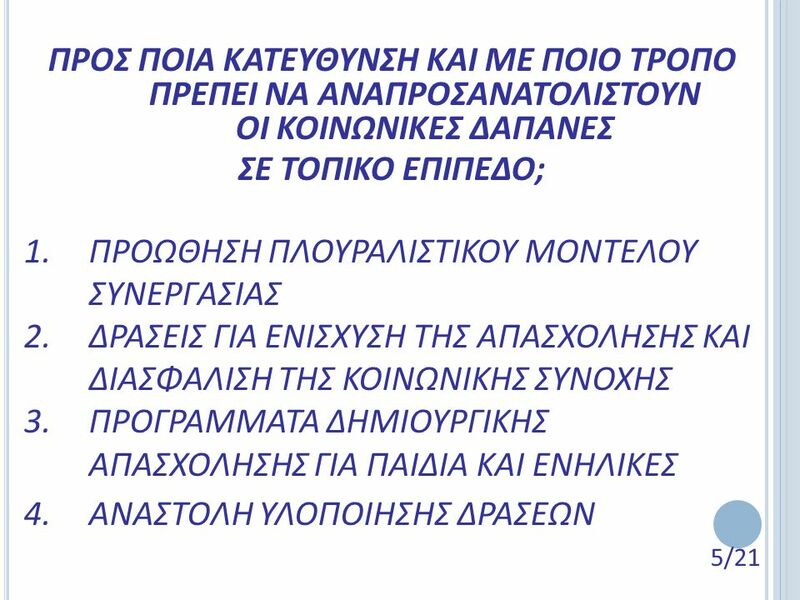 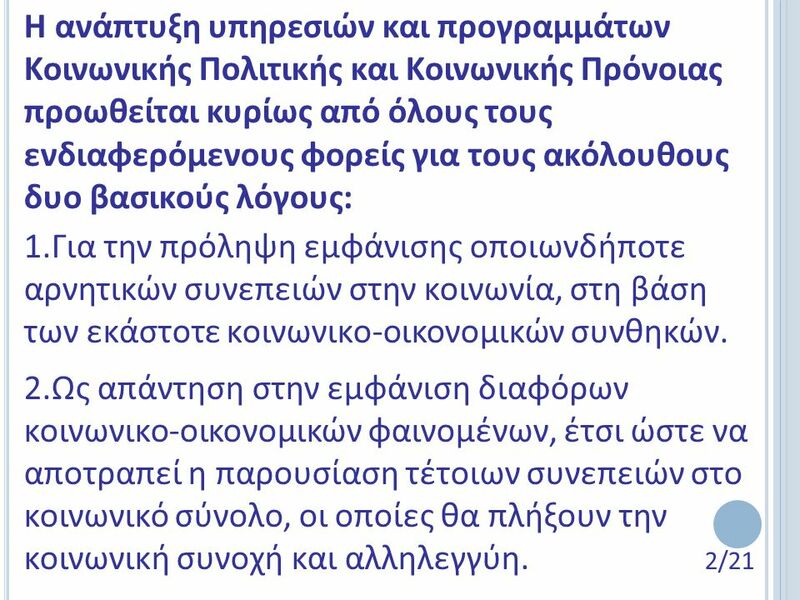 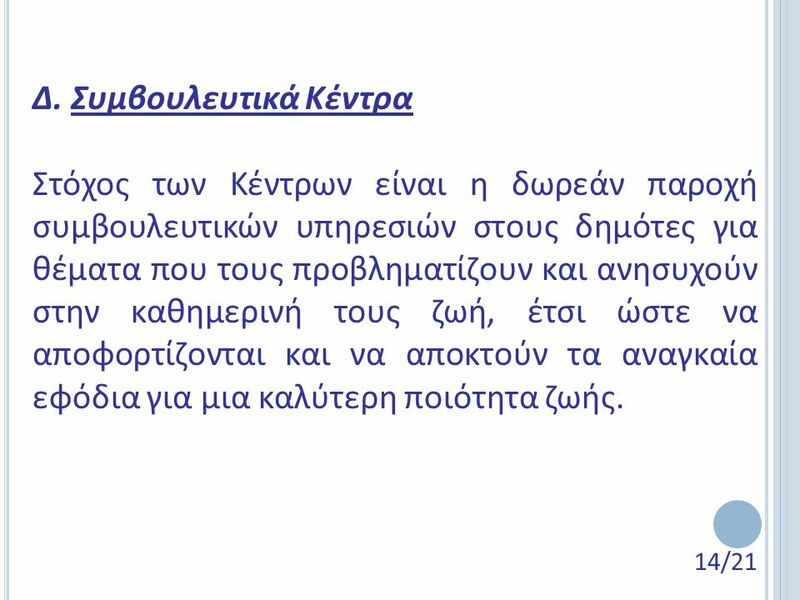 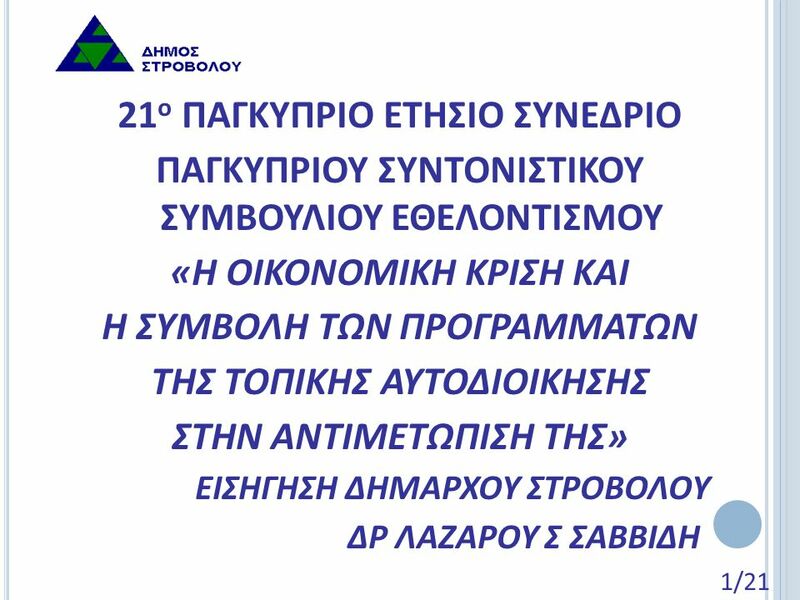 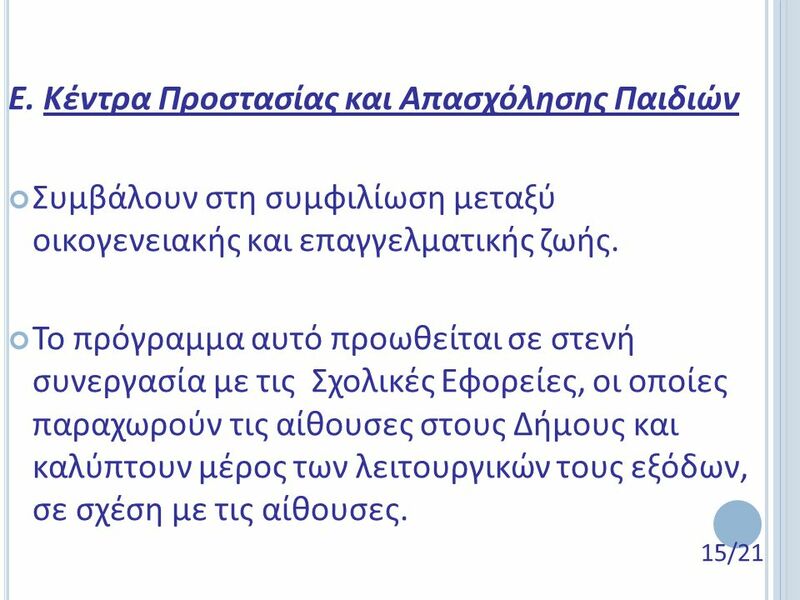 Κατέβασμα ppt "21 ο ΠΑΓΚΥΠΡΙΟ ΕΤΗΣΙΟ ΣΥΝΕΔΡΙΟ ΠΑΓΚΥΠΡΙΟΥ ΣΥΝΤΟΝΙΣΤΙΚΟΥ ΣΥΜΒΟΥΛΙΟΥ ΕΘΕΛΟΝΤΙΣΜΟΥ «Η ΟΙΚΟΝΟΜΙΚΗ ΚΡΙΣΗ ΚΑΙ Η ΣΥΜΒΟΛΗ ΤΩΝ ΠΡΟΓΡΑΜΜΑΤΩΝ ΤΗΣ ΤΟΠΙΚΗΣ ΑΥΤΟΔΙΟΙΚΗΣΗΣ."